For up to 10V application I would like to omit the step up module and power the DPS5020 directly from ATX. 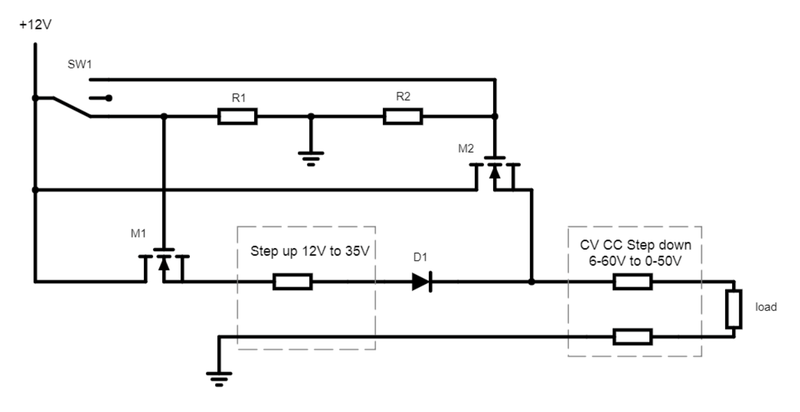 For higher voltages I want to manually switch to use step up module. My first idea was to use 3P3T switch, but I could not find one that can safely handle 12V DC and 26A. Then I wanted to use the switch that would control 2 relays, but high current relays are very expensive. The third idea was to use high side switching with two Power MOSFETs. Vgs = +/-20V (I will ensure that the mosfet is fully open with Vgs=12V) - However as I have the ATX psu, I could easily use 5V or even -12V, - 5V. To minimize the power loss (heat) the Rdson should be low. Each mosfet won't switch frequently (and most probably not under load), as it would switch its state only when SW1 is flipped. Can I disregard then the switching power losses, so I should care only about conduction losses, witch would be P=IIR_dson. How about the power dissipation and safe operation area? The conduction losses even for 26A would be max 6-7W. To make sure that when then M2 is providing the 12V and the Step up converter is off there is no voltage on the + output pin I added the D1 diode, is it sufficient protection? 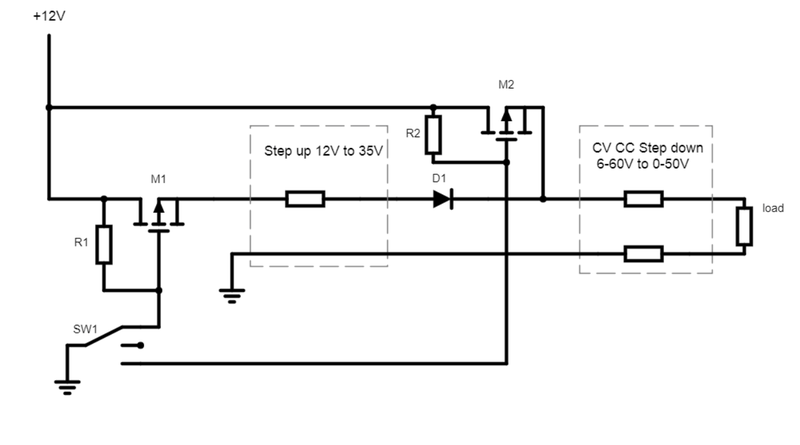 Browse other questions tagged power-supply mosfet step-down powermosfet step-up or ask your own question.